Marchon introduced the revolutionary Airlock Collection in 2001, taking the industry by storm. Every Airlock style is unique – the collection features a wide array of shapes, colors and materials for men and women. 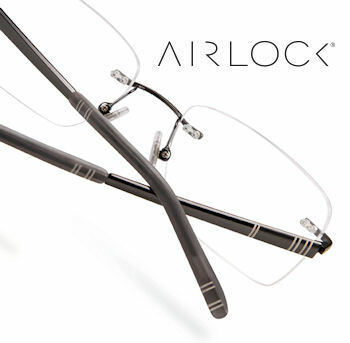 With dozens of styles to choose from, there is an Airlock style to compliment every face and personality. Marchon is headquartered in New York with offices all over the world including Australia, Brazil, Canada, France, Germany, Greece, Hong Kong, Italy, Japan, Mexico, Netherlands, New Zealand, Portugal, Switzerland, Turkey, UAE, United Kingdom and United States. Since1983 Marchon’s commitment and passion has solidified its reputation in the market. Visit the Marchon Airlock website.